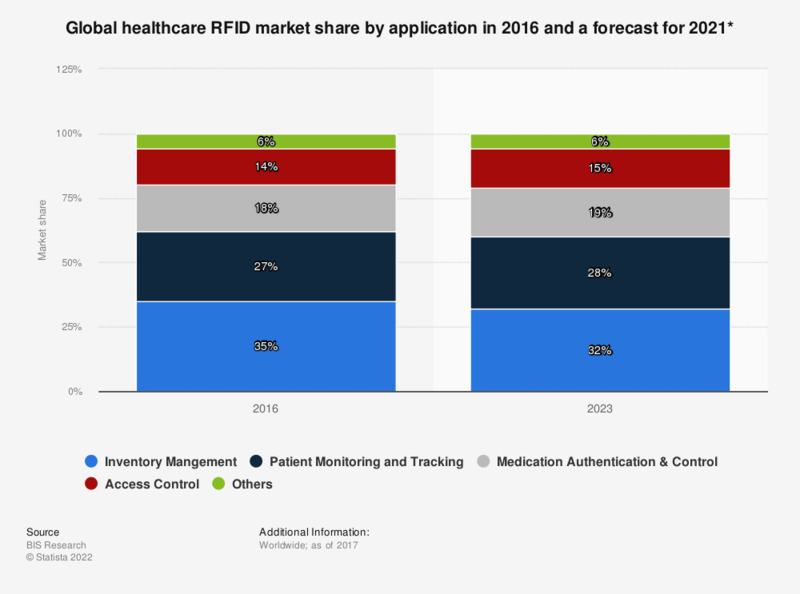 This statistic shows the distribution of the global radio-frequency identification (RFID) healthcare market in 2016 and a forecast for 2021, sorted by application area. It is estimated that by 2021 around one third of the market will be generated in the area of inventory management. * RFID = Radio-frequency identification. 2016 figures are estimated, 2021 figures are forecasted. Statistics on "Medical technology industry in China"
Is blockchain technology ready to enter the healthcare world?